Grey Fiberboard, one piece cover, lined interior. Appropriate for private viewing. 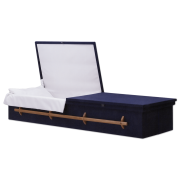 When a body is cremated, it must be placed in the cremation chamber in a rigid, fully combustible container. 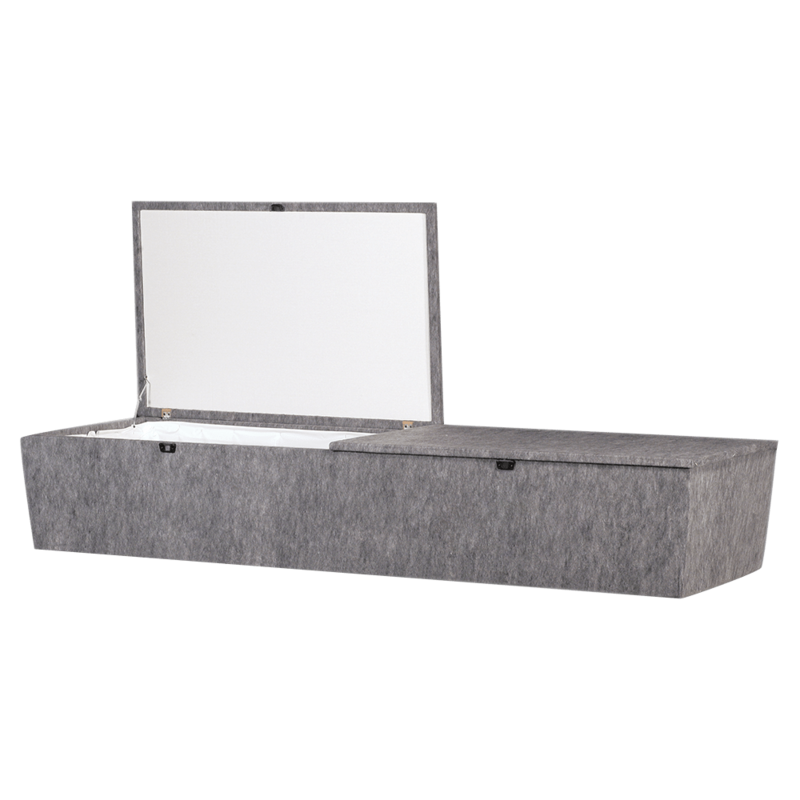 This container may be anything from a traditional casket to a cardboard box; the only requirement is that it can’t include any metal parts.